Roam the Magic Kingdom Park in search of clues and use your newly discovered magical powers to defeat the Disney Villains. 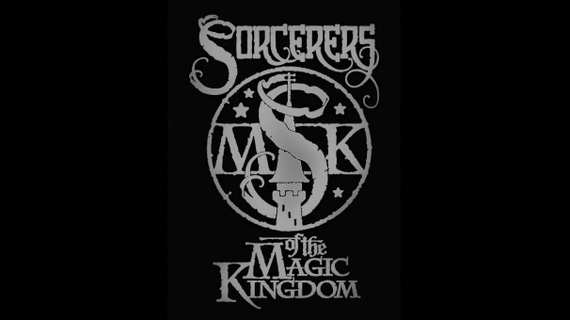 Sorcerers of the Magic Kingdom (debuting February 22, 2012) is a free inter-active adventure game that takes places in different hidden locations throughout the Magic Kingdom Park. Guests can join the wizard Merlin’s team of Apprentice Sorcerer’s, and help Merlin fight the forces of evil in this inter-active role-playing game. Hades, the Lord of the underworld has set his sights on the magic kingdom park, and plans on making it his new home; although Merlin stands in his way. Hades sends Pain and Panic to Merlin’s home to steal Merlin’s Crystal ball (a powerful artifact that keeps the forces of evil in check throughout the Magic Kingdom). Pain and Panic awake Merlin while attempting to steal the Crystal ball and a scuffle then ensues causing the Crystal ball to be shattered into pieces, which have been scattered to different locations around the Magic Kingdom Park. Not being one to give up so easily, Hades assembles a team of Disney Villains to retrieve the Crystal shards for him. 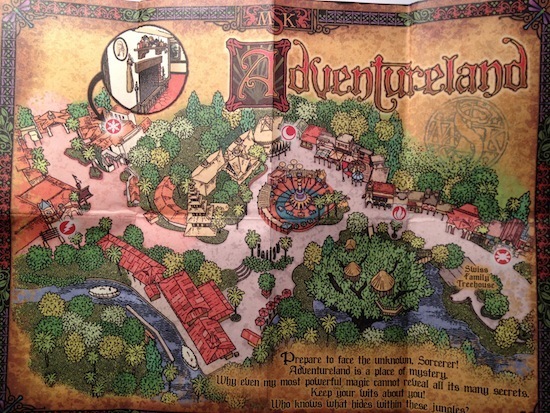 Using Merlin’s Mystical map, guests can embark on missions throughout Main Street U.S.A; Adventureland; Fantasyland; Frontierland and Liberty Square. Each land in the park hosts a different adventure within the game, with different villains in each adventure. Sorcerers of the Magic Kingdom is played with a set of playing cards (Spell cards) similar to baseball cards – with a different Disney character on each. Each character possesses unique properties that will help that character fight certain villains encountered along the way. 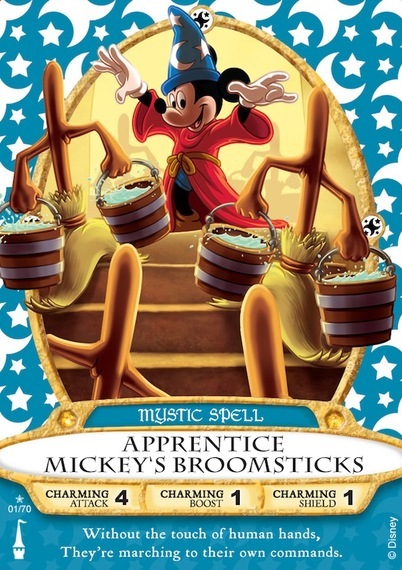 You can obtain one pack (containing 5 cards) of spell cards each day in the Magic Kingdom. Your admission ticket will be scanned to record that you have received your cards for that day. You can pick up your Spell cards and a map (showing the locations of the 20 game portals throughout the Magic Kingdom) at two locations. 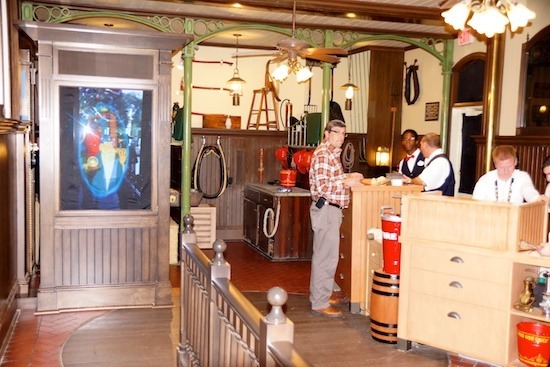 The main location is at the Firehouse at the town Square at the end of Main Street U.S.A., between the City Hall and the Emporium. The second location is in Liberty Square behind the Christmas Shop. Each pack of Spell Cards contains one rare card (Star card) and four common or uncommon Spell cards (Planet or Moon cards). Super rare, rare, common and uncommon only represent how rare the cards are, and thus how valuable they are to traders – the rarer cards are not any more powerful in the game and are simply of interest to those who collect the cards. Once you pick up your first set of spell cards, one card will be assigned as your Key card, this will be the card that will link you to the game. You will also need to present your key card once you have completed the game, to pick up your next set of spell cards to start a new adventure. After you have been given your first set of spell cards, you will then view an instructional video explaining to you how to use your spell cards and the object of the game. You will then be sent to different location to begin your first adventure. Each adventure will consist of 4 or 5 stops in a particular land. At each stop another video will be played, showing you just what your villain has been up to. 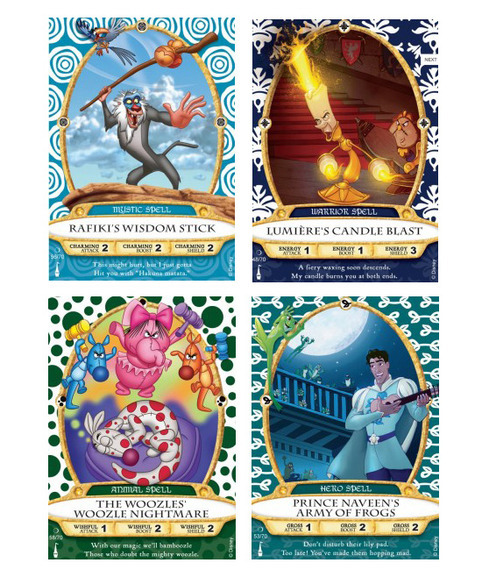 Merlin will then ask you to cast a spell using your spell cards, to stop the villain. You will then hold up one or more of your spell card (s) up to the video display (game portal) to cast your spell. Cameras will then read and display the spell and show you your results. The game has three levels of difficulty: easy, medium and hard. If you are a first time player, your game will be set to easy. Once you have completed the game, you can begin a new game choosing to continue on easy level or increase the difficulty of the game to medium level. Once completing the game on medium level, you can then play on the hard level if you choose to do so. Easy: Your spell card selection does not really matter; Any spell card you use will defeat any villain in the game. If you use your spell cards several times during the game, your spell carders will become stronger, thus giving you an advantage when starting in the harder levels. Medium: This time around the Villains will be stronger or weaker against certain spell cards. Keep in mind that playing the spell cards that match the Villains weakness gives up a upper hand. The Villains are stronger and it could more than one round to defeat them. You may need to use 2 or more spell cards in specific combinations to conquer a particular villain. There are a total of nine different story lines, each with a different Disney villain you must defeat in order to complete the game. Each storyline consists of several chapters – a few bad guys to face, then of course the main villain of the story. The final storyline will always be against Hades, Lord of the Underworld. Once you have defeated Hades, you will move on to one final portal where you will be rewarded a virtual medal either Novice, Bronze, silver, gold or Master Sorcerer. Once you have completed the game, you can return to Sorcerer training at either the Fire station or Liberty Square. There you will be rewarded a bonus pack of spell cards and you can then start a new game at the same level of difficulty or higher if you choose. Why Play you ask? The Sorcerers of the Magic Kingdom is a unique card game only offered to guests at the Magic Kingdom. It can be fun for the whole family. Most of the younger kids would enjoy the easy level, although everyone has to start on that level first if it is their first time playing. The adults and older kids would benefit more from the medium and hard levels. They most recently changed the difficulty of the hard level. The change happened on October 1, 2013. Before October 1, 2013 the hard level was played the same way as the medium level. Once the sorcerer had found what the strengths and weaknesses of a villain, those same strengths and weaknesses applied at the hard level. Now, each villain’s weakness will change with each game. Overall, guests who play the game are satisfied. Likewise, collecting the cards is also a reason a play. 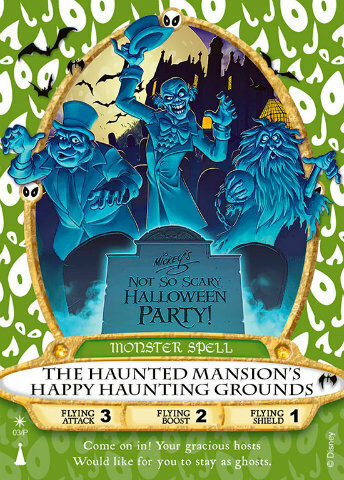 They have come out with special collectible cards for Mickey’s Not So Scary Halloween Party and Mickey’s Very Merry Christmas Party. The Sorcerers of the Magic Kingdom game has done that twice in a row. In the game you can collect a total of 70 cards plus some special and regular collectible cards and variants. Please note that the variant cards are production changes while the game was still being tested. 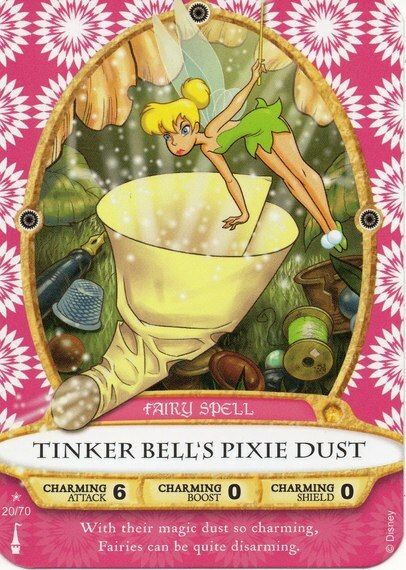 Each of the different cards is classified into nine different spell types: Toy, Machine, Animal, Fairy, Hero, Princess, Warrior, Monster, and Mystic. Plus, seven different types of attacks: Charming, Energy, Gross, Quick, Strong, Wishful, and Flying. How rare a card is categorized by means of the symbol in the bottom left corner, right above the number out of 70. Each symbol means the following: A Crescent Moon- uncommon, A Planet- common, A Star- rare, A Lightning Bolt- super rare. Cards (1-22) Star, (23-40) Crescent Moon, (41-60) Planet, (61-70) Lightning Bolt, and cards 02, 12, 20, 22, 25, 31, 32, 35, 40, 42, 43, 50, 55, 60, 70, plus the Cast Exclusive are variants. Please note: The CM card was given out February 22, 2012 to Opening Day Cast Members. Also Cards 1-60 all come in two versions. 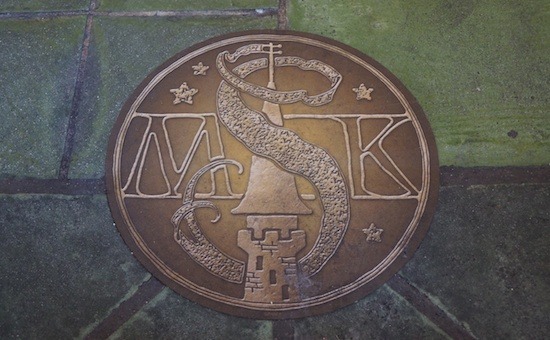 The Sorcerers of the Magic Kingdom debuted February 22, 2012. As of right now the game is expected to continue for some time. It will take some time to play the game and each level. There are many characters in the Sorcerers of the Magic Kingdom. Starting with Main Street USA, you see Cruella De Vil as the only villain and Pongo serves as the guests’ guide. Cruella sends Horace and Jasper to try and catch her dogs. Then the guests have to battle Horace. Perdita and the puppies also show up in the game and with the help of Pongo and Merlin you can defeat Cruella De Vil. In Adventureland you will find three villains: Yzma, Jafar, and Scar. Kuzco serves as a guide in this mission and that Yzma has been recruited to help Hades. Kronk also appears and they have to battle him. Then guests can finally go to Yzma’s Lair and battle her. For battling Jafar, Genie serves as the guests’ guide, while Merlin is away at the Pirates of the Caribbean. When Genie goes to find Merlin, the guests have to battle Iago. Then after they defeat him they had to the Cave of Wonders. After that the guests have to battle Jafar’s giant snake form. Then the guests free Merlin and finally battle with Jafar. Next for the guest to battle is Scar. Rafiki serves as the guide for the guest on this mission. The Hyenas appear, then guest battle Banzai and discredit scar. In Fantasyland you will find two villains: Ursula and Maleficent. Sebastian serves as the guests guide for the mission with Ursula. Flotsam and Jetsam also appear in the game and they have to defeat them. Then, after they have done that, Ursula sends Glut after the guests. Finally, guests are confronted into battling with Ursula. Flora, Fauna & Merryweather serves as the guests guide for the mission with Maleficent. Then Hades proceeds to give Maleficent a “Get Out of the Underworld Free” card, which allows her to return from the dead. Then guests have to battle with one of Maleficent’s Goons before moving on. Maleficent then surprises guests and they have to battle her. After that she shows up in her dragon form to battle the guests. In Frontierland/Liberty Square you will find two villains: Ratcliffe and Dr. Facilier. Pocahontas serves as the guests’ guide in this quest against Ratcliffe. Then they battle a drum-playing soldier, who is to be Pain and Panic in disguise. Meeko shows up and Ratcliffe kidnaps him, then the guests have to battle Ratcliffe onboard his ship. Mama Odie is the guests’ guide in this mission, with Louis assisting in this quest against Dr. Facilier. Then Lawrence and his shadows show up and you have to defeat them before moving on. Then he Kidnaps Tiana and now its guests turn to battle Dr. Facilier. Chernabog shows up at the very end of the game for a battle. As you can see there are many characters in the game, including the many characters on the cards and the many villains. – As featured on Walt’s Basement.